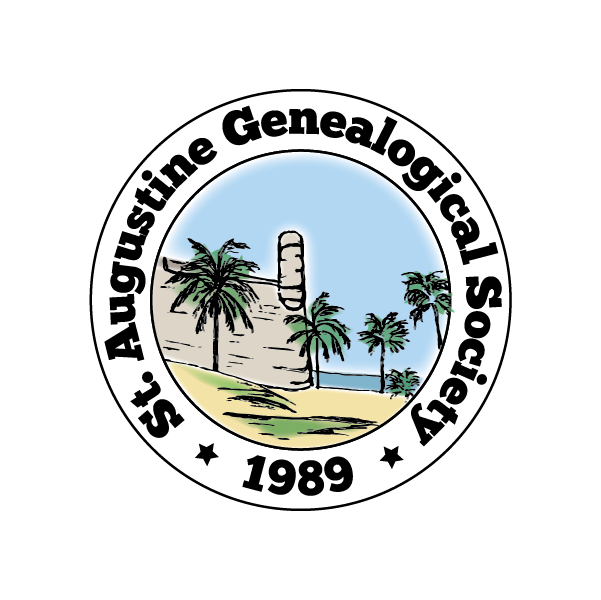 Since 1989 the St. Augustine Genealogical Society has proudly served both those seeking information about their ancestors who lived in the St. Augustine/St. Johns County area and those without local ties who wish to connect with other family historians. The Castillo de San Marcos has protected this town since 1672. We meet at the Southeast Branch of the St. Johns County Public Library at 1:00pm on the third Saturday of each month. Visitors are welcome to our meetings at no charge. For more information contact SAGSInfo@yahoo.com. You can also contact us at our society page on MeWe.com.